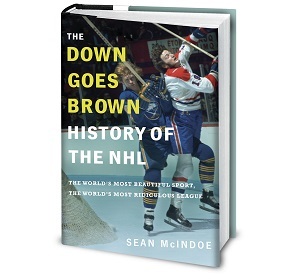 The following is from an email exchange between Dave Lozo and Sean McIndoe (Down Goes Brown). Each month they will talk some nonsense and debate the biggest topics in the NHL in our monthly review. You can also check out the Biscuits podcast with Sean and Dave as they discuss the events of the week. It's time for our monthly roundup of the NHL, in which we cover the key stories, make incorrect predictions, and generally complain. Mostly the latter. 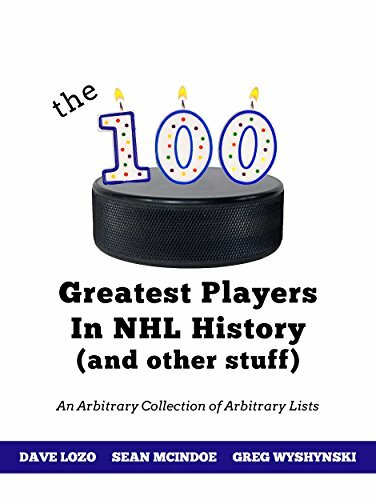 Let's start with a topic we know pretty well, because we just released a book on it: the NHL's greatest 100 players. The league released its list over All-Star weekend, naming 100 legends as the best of the best. We put together a list of our own, and went the extra step of ranking it. That resulted in an ebook that's now available for purchase. Having spent the time to research and build out a list of our own, we're on solid ground to take shots at the league's version. So how'd they do? What were the worst picks and/or snubs on the NHL's official list? Lozo: Bad picks: Jonathan Toews, Patrick Kane, Mike Modano, Mike Gartner, Adam Oates, Jacques Lemaire, Grant Fuhr. Shoulda been picks: Evgeni Malkin, Jarome Iginla, Joe Thornton, Henrik Lundqvist, Dale Hawerchuk, Pierre Pilote, Zdeno Chara. I won't go into detail about why the bad picks were bad, but the NHL seemed like it wanted to reward Cups instead of the quality of player. Except the Cup-less Gartner, which was odd, since the Rangers trading him away in 1994 was a big reason why they won the Cup. Dudes who played most of their careers in the 1980s were rewarded more than anyone else, probably because the "blue ribbon" panel was made up mostly of people who grew up on that hockey. Did you see the highlights they showed from that era? Guys were scoring on 20-foot backhanders along the ice because goaltenders were about as skilled as your kid brother using pillows as leg pads after getting into the cough syrup. Our list, however, is flawless and available everywhere e-books are sold. DGB: Yeah, the focus on the 80s was a bit strange, especially coming at the expense of today's players. I think we'd all assumed that the NHL would put a thumb on the scale and make sure that the current generation was well-represented. That only makes sense—you're doing this as a marketing exercise, so market the guys who fans can actually still pay money to see. Instead, we got the big three of Crosby/Ovechkin/Jagr, and then a bunch of Blackhawks. That's just weird. I guess the league really did just tally up the panel's votes and go with that. By the way, James Mirtle had the full list of who was on the panel. With maybe one or two exceptions, it's pretty much a who's who of knowledgeable hockey people. But it's definitely an old-school group, and the old school does love their Cups. I agree with most of your picks, although I was fine with Fuhr and I think the case of Gartner and even Oates is a decent one. Modano is a strange one, though. I don't know about you, but he's the one guy I got the most feedback on after we left him off our list. I thought we'd get it from outraged Blackhawks fans because we didn't include Toews, or even old-time Habs fans who were mad about Bob Gainey or Henri Richard. Nope. Instead, it was Modano who people thought was a slam dunk. A guy who played for 20 years, had one second-team All-Star nod, and never cracked the top five in MVP voting even once. If he's not American, I'm not even sure he's in the conversation at all, but people I heard from couldn't fathom a list without him. Did you have anyone like that where you got unexpected feedback?